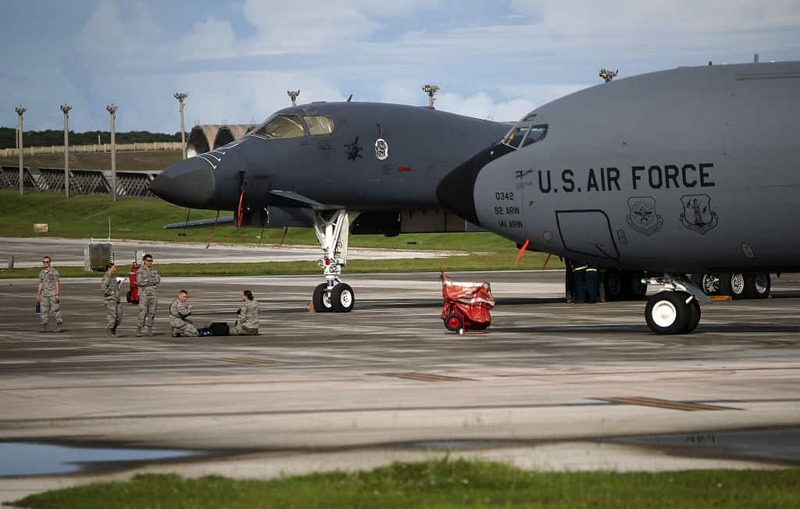 According to Stars and Stripes, personnel at Andersen Air Force Base in Guam had been consuming drinking water that had been sanitized with chlorination tablets typically used in swimming pools. As a result of this gross violation, The Guam Environmental Protection Agency has fined Andersen Air Force Base. Guam’s EPA immediately issued a notice of violation after learning that Andersen was using a type of chlorination tablet in the drinking water that contained a chemical compound the agency considers a pesticide. It seems this chemical compound is quite toxic to waterborne organisms such as water fleas, according to the EPA Office of Pesticide Programs. “Trichloro-s-triazinetrione is used only for swimming pools as per the product labeling,” Guam EPA wrote in the notice. Exposure to trichloro-s-triazinetrione can cause irritation to the human skin, eyes, mucous membranes, as well as the human respiratory tract, according to the U.S. National Library of Medicine. “[It was] very unlikely that the use of the Pool Time chlorination tabs resulted in any adverse health effects,” a 36th Wing spokesman said in a statement. Although Andersen Air Force Base received the notices of violation for the Northwest Field water tank, at no time was the water deemed unsafe to drink. Notwithstanding these consequential findings, the water tank operator told the Guam EPA that he did not know how long the base had been using the pool tablets in drinking water, according to the Guam EPA.